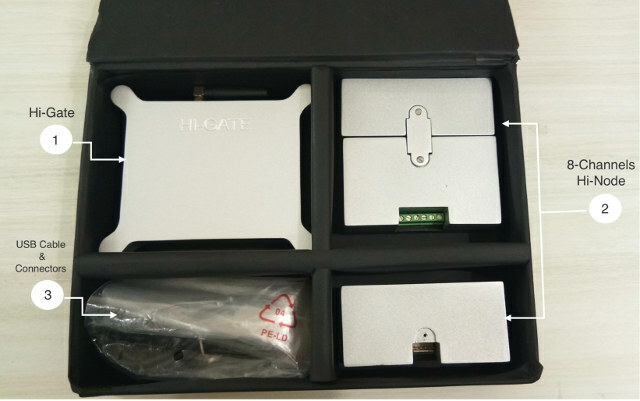 hIoTron modular & enterprise IoT development kit is described by the company has a “fully pre-programmed prototyping kit for quickly building and testing your IoT concept” with plug-n-play module allowing for flexible prototyping. Beside the hardware comprises of a gateway and nodes, the kit also integrates with the company’s enterprise IoT Platform enabling easy design of custom mobile application & GUI dashboard. 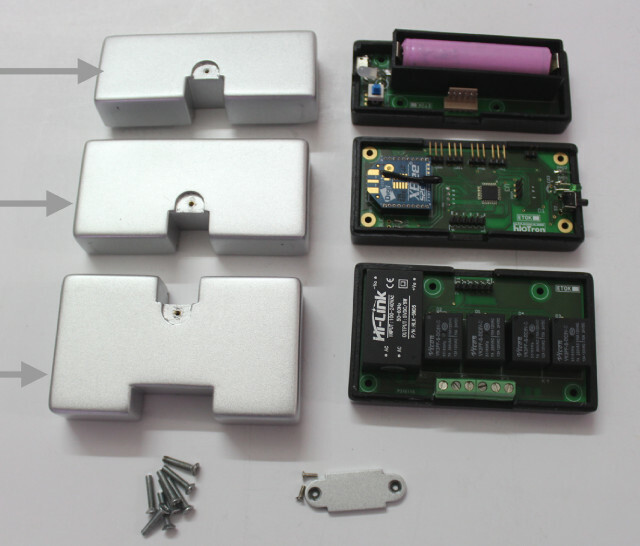 You can then connect the powering and sensing nodes together, or powering and controlling nodes, as well as all three together with provided cables and screws depending on your project / prototype requirements. The next step is to setup and configure your project in the code-less hIOTron IOT Platform to easily create mobile / web apps, and various rules. The best way to quickly understand how the kit is supposed to be used is to watch the short demo video that shows how to use the software and hardware to quickly design simple projects. The standard modular & Enterprise IoT development kit can be purchased for $189 on Robotshop. More details can be found on hIoTron devkits page.